Anna Bańkowska was elected the President of the Polish American Congress Michigan Division (PAC-MI) at the annual membership meeting on Saturday, March 14, at the PNA Hall in Hamtramck. 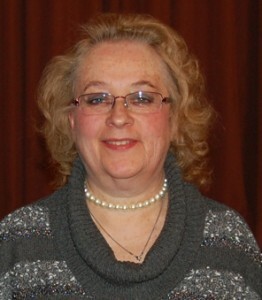 Bańkowska was the only nominated candidate for the position of PAC-MI President. Mariusz Szajnert, who was the PAC-MI President for the last eight years decided not to run. Bańkowska is following the footsteps of her father, Kazimierz Olejarczyk, who passed away last year. Mr. Olejarczyk devoted his entire adult life to Polish American Congress (for 16 years her served as the President of the organization). The election of officers and board members was conducted by the Nominating Committee led by Hon. Judge John Chmura. Barbara Lemecha was elected Executive Vice President, while Barbara Gronet and Christopher Adamczyk were elected as Vice President for American and Polish Affairs. Tomasz Wolski will again serve as the Treasurer. Anna Huk-Glaeser was elected Recording Secretary (for Board Meeting) and Donna Bielecki will assume the position of the Recording Secretary (for Membership Meetings). Jolanta Bujny will serve as the Corresponding Secretary. 19 individuals were nominated for the position of State Directors. They all accepted the nomination. Barbara Gronet, while accepting the nomination for VP for American Affairs, withdrew her nomination for State Director position. And since the by-laws of PAC-MI states that the body of State Directors comprises of 18 individuals, there was no need for voting. The elected State Directors are: Władysław Bańkowski, Joan Baritche, John Baritche, Jerzy Czaja, Frank Dmuchowski, Anita Dul, Andrzej Jakobek, Stanisława Jakobek, Richard Lapham, Edward Nizienski, Francine Nizienski, Jerzy Różalski, Thomas Schemanski, Stella Szczęsny, Jane Tylenda, Mary Ellen Tyszka, Mirosław Wawrysz i Stefan Żmuda. The Audit Committee (comprising of five people) received only two nomination (Anita Dul and Edward Maska) in the time permitted. The nominating committee asked for nominations from the floor. Richard Lapham, Jane Tylenda and Waldemar Raczkowski were nominated. They accepted the nominations, thus becoming the members of the Audit Committee. The PAC-MI is allowed to have three National Directors (based on organizations that are members of PAC-MI). There were six nominations received. Through the voting process three with highest number of votes were: dr. Zdzisław Jurek, Jerzy Różalski and Thaddeus Radziłowski.